According to the football transfer rumours in Italian Media (Tutto Mercato Web), Inter Milan will make new 8 million euros offer for Caen striker Yann Karamoh. The France international has joined Caen from Racing Colombes 92 in 2011. The 19-year-old has a valid contract with Caen until June 2018. Karamoh has played 36 times for Caen, scoring 5 goals and creating 4 assists. The 19-year-old is considered to be one of the best young strikers in France. Yann Karamoh has represented France at Under-16, Under-17, Under-18, Under-19 and Under-21 level, winning 21 caps and scoring 7 goals. The striker has just 12 months remaining on his contract and Caen may consider a deal in this transfer window to avoid losing him for nothing next summer. Luciano Spalletti has always been a manager who keeps his eyes on the most talented young players across the globe. The France international is thought to perfectly fit the profile of attacking player Luciano Spalletti wants to target in the summer transfer window. Inter Milan are desperate to make an impact in this summer transfer window. The France international would be a versatile addition for the Inter Milan, having featured at striker and in right wing role. There is some talk that Luciano Spalletti could rotate his players more next season as Inter Milan look to compete on three fronts, so there could still be enough game time available for Karamoh if he did make the move. 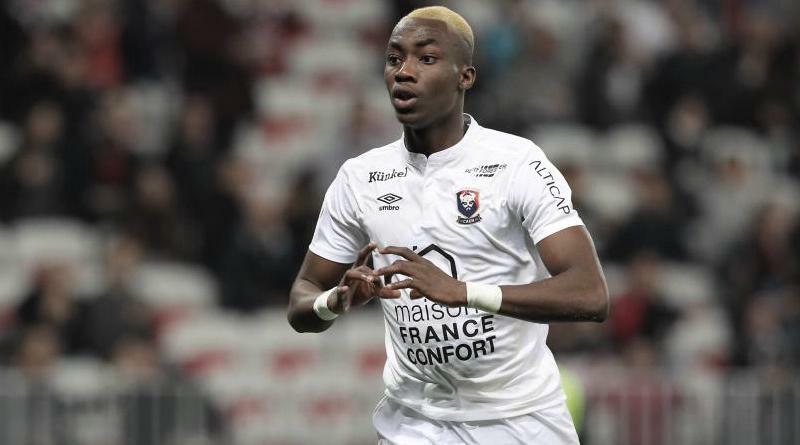 Inter Milan are preparing to step up their interest in Yann Karamoh, with the Caen now willing to compromise on their 10 million euros price tag. According to the report in Italian Media, Inter have already agreed terms with Karamoh and are now negotiating a fee in the region of 8 million euros for the France international striker. How strong that interest is and whether Inter Milan will make a summer move remains to be seen but it is certainly one worth keeping an eye on.